As winter turns to spring, residents and visitors alike will be ready to explore the great outdoors. 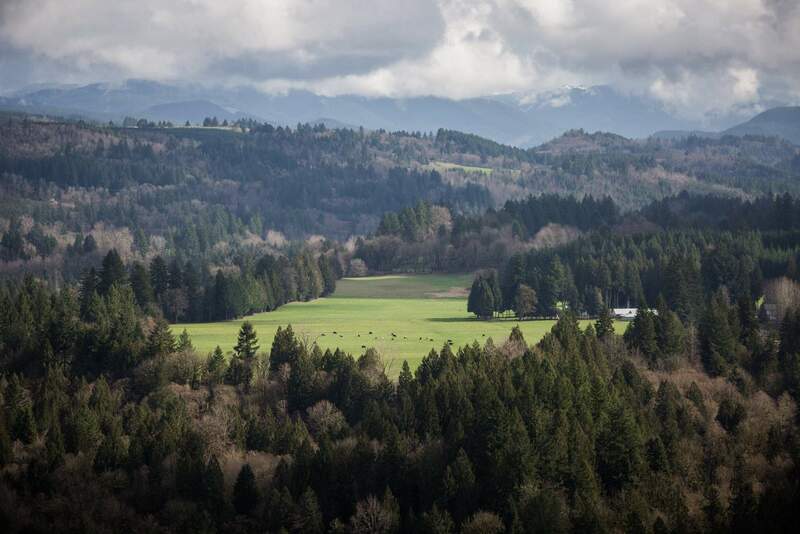 And form hiking to snowboarding (and everything in-between) one Oregon county has it all. Less then 30 minutes southeast of Portland, Clackamas is worth venturing out. And for visitors to “Bridgetown,” these must-see spots in one of Oregon’s most scenic counties should not be overlooked. Spanning more than 1 million acres, the Mount Hood National Forest is a destination for perspective, awe and inspiration. The forest stretches its limbs south from the Columbia River Gorge across more than 60 miles of mountains, lakes and rivers to the Olallie Scenic Area. In total, the forest covers land in Clackamas, Hood River, Wasco, Multnomah, Marion and Jefferson counties. The forest is one of the most-visited National Forests in the United States, with more than 1 million visitors each year. But don’t worry – there’s plenty of room for everyone. If you’re in the Mt. 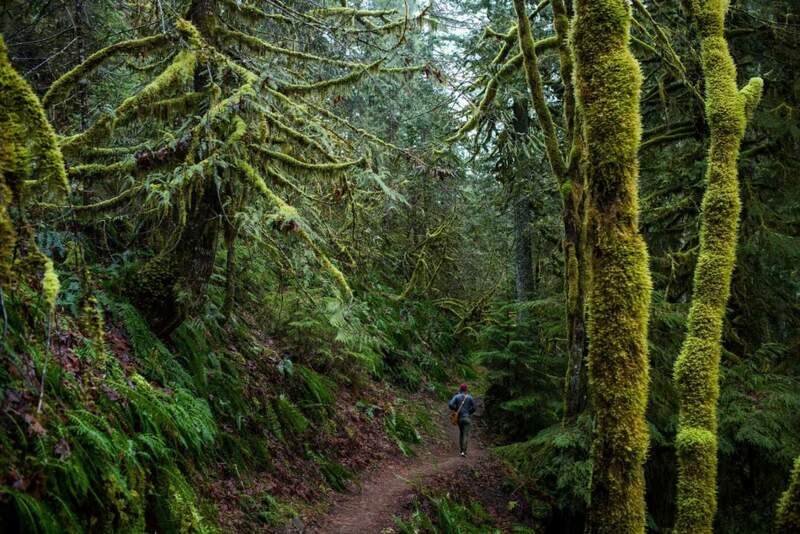 Hood National Park area, you can’t miss the Salmon River Trail – one of the most popular river hikes in Oregon. 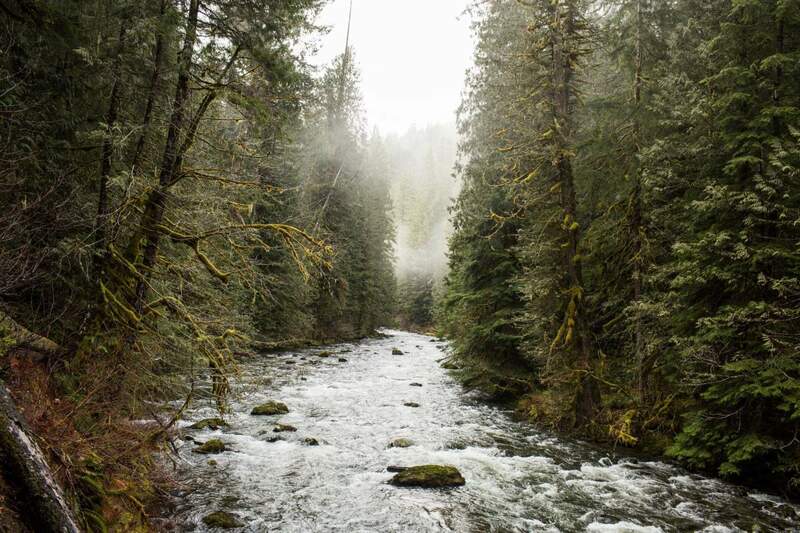 Beginning at the Salmon River Trailhead, the hike will take you along the Salmon River through a deep rainforest. Once outside the forest, a sprawling view of the Salmon River canyon awaits. But make no mistake – you’ll have to work for these views. With an immediate steep climb at the beginning of the trail, hikers must traverse over the river and through deep forest to experience sights they won’t soon forget. Nestled deep in the Mt. 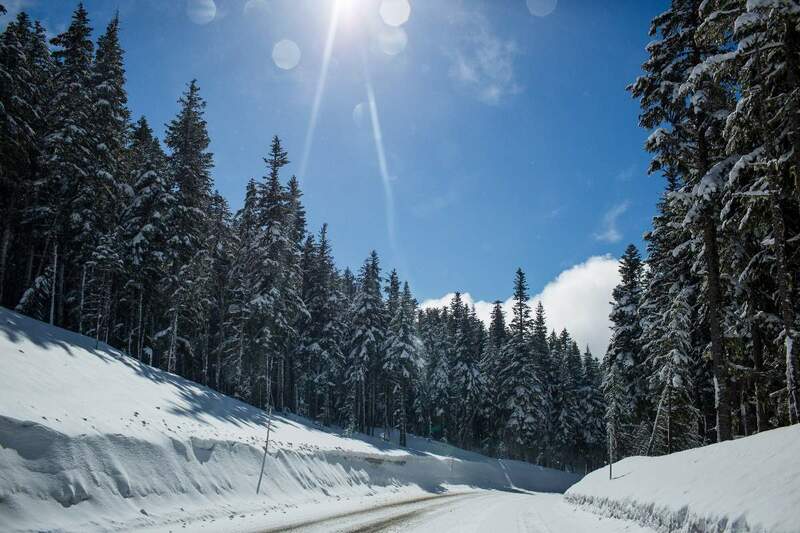 Hood National Forest is one of the most pristine ski areas in the United States and a National Historic Landmark in the state of Oregon, the Timberline Lodge and Ski Area. Constructed during the Great Depression, this impressive ski area is the only one in North America to offer year-round skiing. If you’re around the resort in June, don’t miss the Golden Rose Ski Classic – the oldest organized ski race in the U.S. and the only USSA-Sanctioned summer race. By way of the Oregon Scenic Byway, the Jonsrud Viewpoint reveals breathtaking views of the Sandy River Valley with Mt. Hood as a backdrop. Located along the Oregon Trail, the viewpoint gives adventurers a chance to look through telescopes across the expansive Oregon landscape. 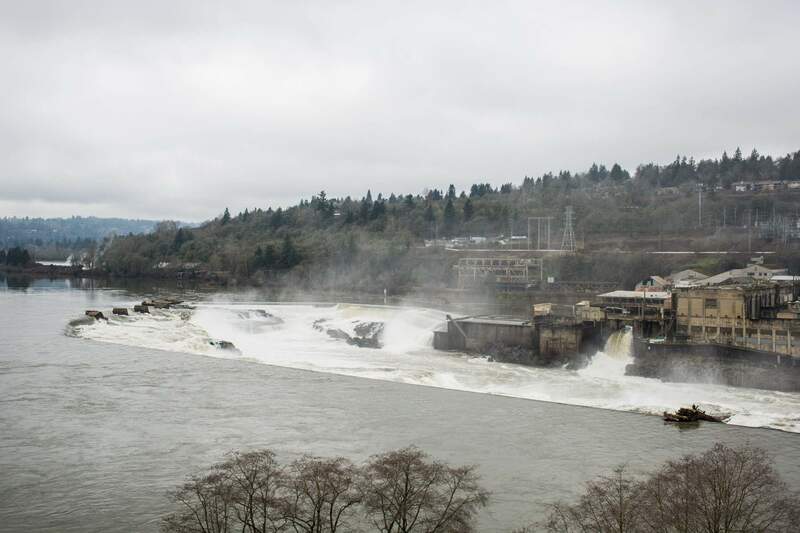 Round out your Clackamas County trip at Willamette Falls – the largest waterfall in the American Pacific Northwest by volume and the 17th-largest in the world. The 52-foot falls are located 14 miles upriver from Portland by car and were the heart of the rich pioneer industry in the Oregon Territory. From rushing waters and rainforests to snow-covered mountains and canyons, Clackamas County offers any outdoorsman as much to see as do. The only question for an adventure-seeker: how to fit it all in. Ask Zach McDuffie what he does for a living, and he’ll probably omit the fact that he creates digital content for several brands. He probably won’t tell you that he launched a Costa Rican “learning vacation” school, offering Spanish, art and surfing classes. You won’t hear that he helped design and build an adjoining hotel with his own hands. Ninety-two-year-old Roger Merrill left his childhood dairy farm in Maryland seven decades ago and did incredible things: he studied engineering at Johns Hopkins University, helped guide IBM into supercomputer and barcode eras, and traveled the country. Finding time to unwind can be challenging for anyone, but for professional golfer Zach Johnson it can be especially hard. The 12-time PGA Tour champ is on the road half of the year, traveling to more than 20 tournaments, promoting charity events and supporting his foundation. But even with his demanding schedule, he says finding ways to slow down and be with his wife, two sons and daughter is his priority.